Are you ready for some color!! 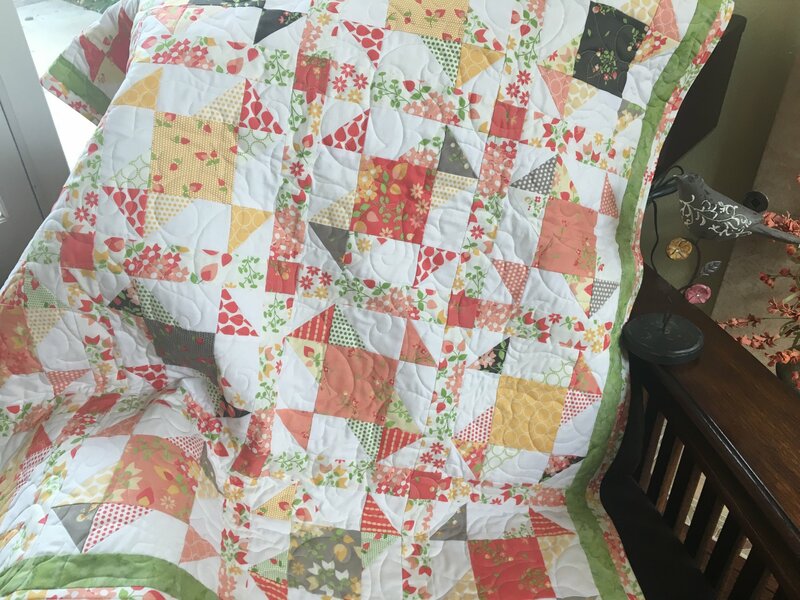 This beauty is a simple and fun quilt to make. The expression of color is simple too as the pattern will guide you with your choices. I used a combination of fabric choices from designer Corey Yoder and I played with the design and collection. I promise this quilt will bring a smile to your face and quilting pleasure. The size is a lap size but can be extended to a twin or queen with just a few more rows.